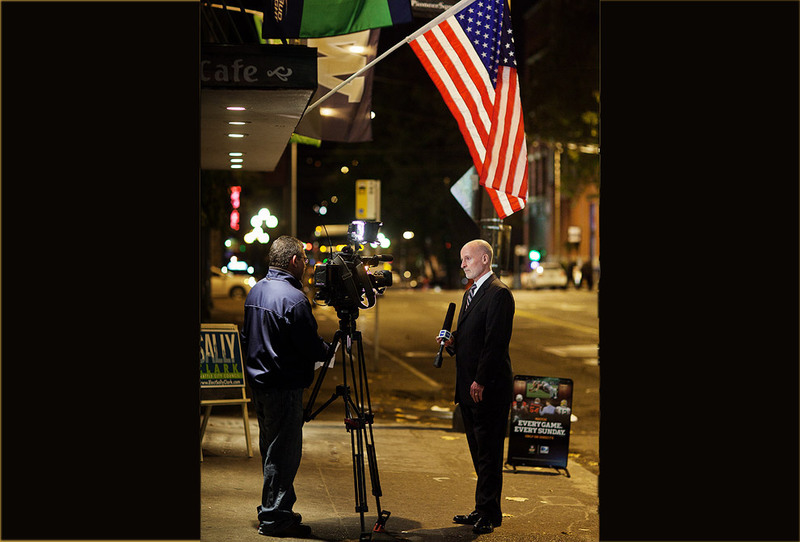 Seattle City Councilman Tim Burgess, above, being interviewed by a local TV station on Election night, outside City Councilwoman Sally Clark‘s election party at Merchant’s Cafe. Burgess was commenting on his re- election victory and the passing with a strong margin of the Families and Education Levy which he supported. 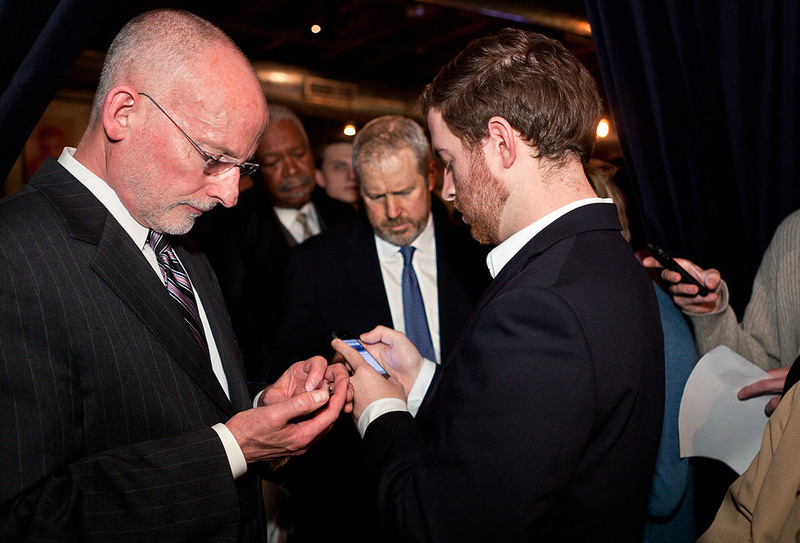 I had an excellent time yesterday on election night, following around Seattle City councilman Tim Burgess who cruised to victory in his re-election to another 4 year term. The first results were announced around 8:15PM. They indicated he had the lead with 81% of the votes over opponent David Schraer. This entry was posted on Sunday, November 13th, 2011 at 6:39 pm	and is filed under FACES and tagged with editorial photography, photojournalism, Seattle Photographer. You can follow any responses to this entry through the RSS 2.0 feed.